Single tanned skin of an Australian Cane Toad. Ready for your imagination. 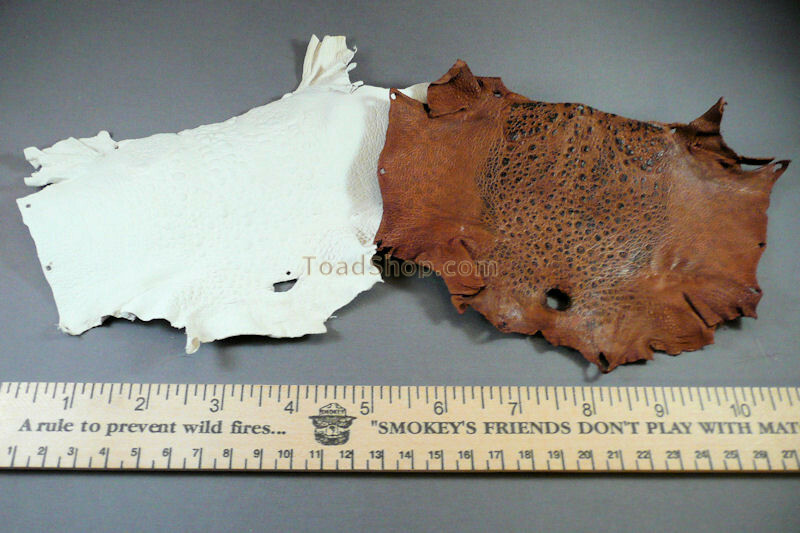 This is one tanned Australian Cane Toad skin. 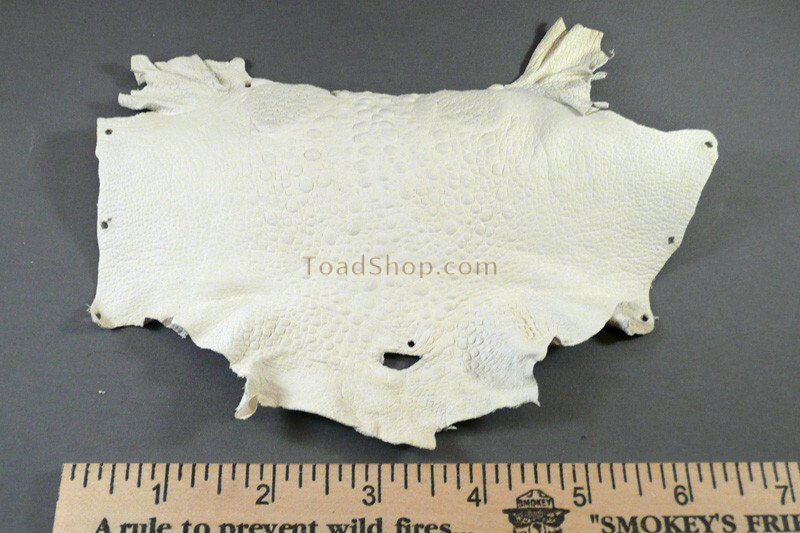 This unglazed skin has been dyed to the natural color of a cane toad and has the bumps highlighted with black dye. Let your imagination run wild and create beautiful items with this quality leather. 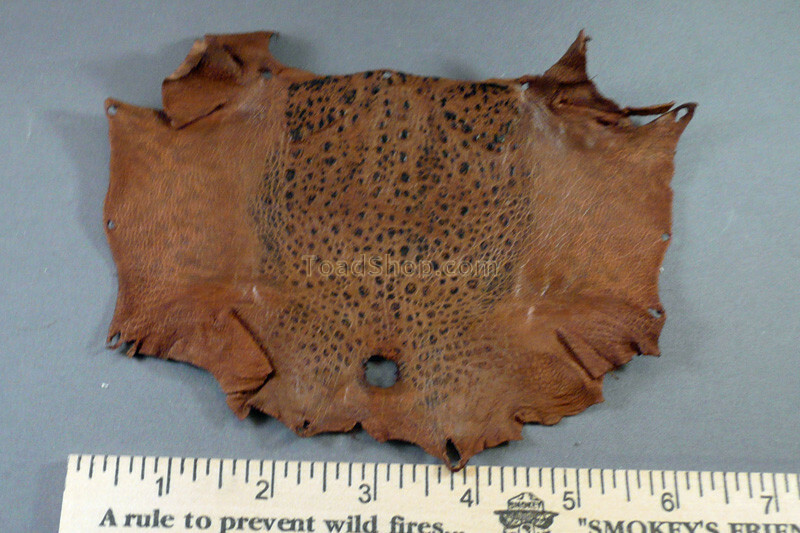 Each skin has a unique shape and pattern but are nominally 6.5" wide. There is slight variation in color between each skin. We have Saddle Brown Tipped skins and Bleached skins. The bleached skins can be dyed to the color of your choosing. 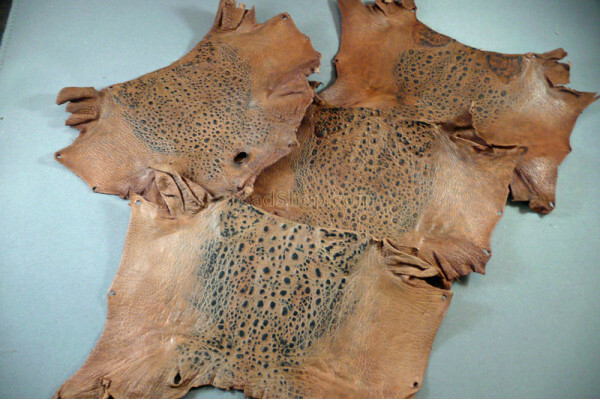 The Saddle Brown skins are much darker than the natural color with the bumps almost blending into the shade of the skin. There is still a slight variation in color between each skin. The bleached white skins are a light gray color.